Community Engineering Corps » What’s in My Backyard? CECorps is pleased to announce the What’s in My Backyard? campaign that will educate interested volunteers on CECorps services and equip them to identify potential local projects. Activities throughout this Campaign will enable participants (engineers and technical professionals) to connect with organizations and communities locally, with the ultimate goal of providing engineering services in both urban and rural populations. In addition to advancing local engineering solutions in underserved communities across the US, CECorps volunteers will expose individuals living in these communities to the wonders of engineering. This 2019 Campaign is possible due to a generous grant through the United Engineering Foundation. Currently under development are educational and outreach materials for professionals and students, which will teach Campaign participants how to deploy through CECorps in accordance with local, regional, and federal regulations and deliver an appropriate standard of care. The toolkit will be available by June 1, 2019 here on the CECorps website. Participants can look forward to videos, guided discussion topics and activities, and supporting materials. Looking for additional assistance? In-person training workshops and live webinars can be scheduled with staff. A preview of the topics and information to come. Community Engineering Corps is engaged throughout the United States with projects that are making a difference in your communities. Grover Hill is a little community in northwest Ohio that has a big wastewater problem. The town’s collection system is rundown and overflows during storms, resulting in sewer backups. 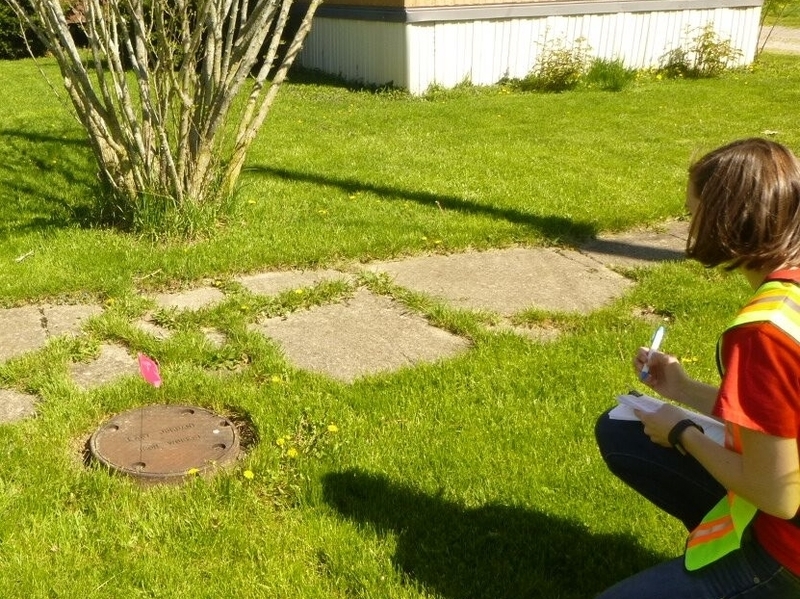 Homes in Grover Hill all have their own septic tanks, which are badly corroded, and the town’s wastewater treatment plant has experienced multiple equipment failures. Grover Hill’s financial situation is dire but the town has been reluctant to raise sewer rates since so many residents are already unable to pay. Through CECorps, AWWA’s Ohio Section dispatched a team of volunteers to Grover Hill, where most of the 400 residents are elderly and low income and unable to pay for engineering services. After conducting extensive fieldwork and research, the team produced a 348-page report that outlines the technical issues and recommends corrective actions. “If we hadn’t been able to get the help from CECorps, the town wouldn’t have taken this step forward to see a doable solution,” said Roberta Streiffert, rural development specialist for the Rural Community Assistance Partnership, a non-profit network that advocates for very small communities. Streiffert said CECorps engineers donated hundreds of hours to Grover Hills’ wastewater dilemma. Their services pave the way to a recent grant award of $1M to begin implementation of recommended solutions. In October 2017, the Tubbs fire raced through canyons and over hills, jumping the six lanes of Highway 101, ravaging everything in its wake. The EWB-USA Sonoma County professional chapter lost no time in responding. Knowing they possessed much-needed technical skills, the team set up a table at neighborhood and county meetings to offer up their expertise at neighborhood and county meetings. As a result, the chapter was able to identify two CECorps projects. For the community of Wikiup Bridge Way, twenty-six of the 27 homes in the community were destroyed and the fire also took out the wooden bridge, the only access point for the community. The CECorps team provided engineering, design and construction oversight for replacing seven fire-damaged culverts along the main neighborhood road and protecting the structural integrity of the roads supported by the culverts. 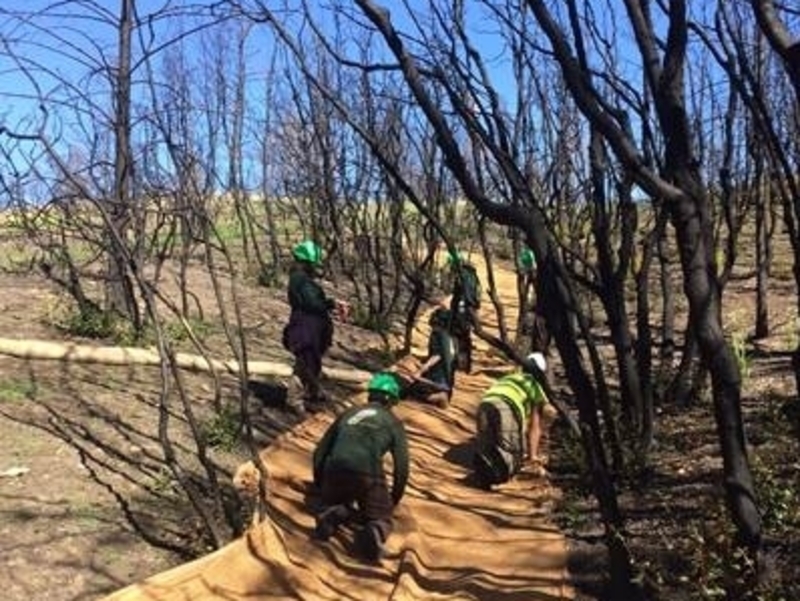 The chapter also partnered with the Sonoma County Resource Conservation District on a number of erosion control projects severely burned during the fire. To secure government emergency grant funding, the team conducted a thorough analysis of the watershed and provided erosion control recommendations. With any natural disaster, the road to recovery is a long one, but one made easier through the support, dedication, and compassion of people and organizations working on the ground. CECorps is pleased to have made a positive difference in helping California recover from this disaster and will continue lending technical expertise. 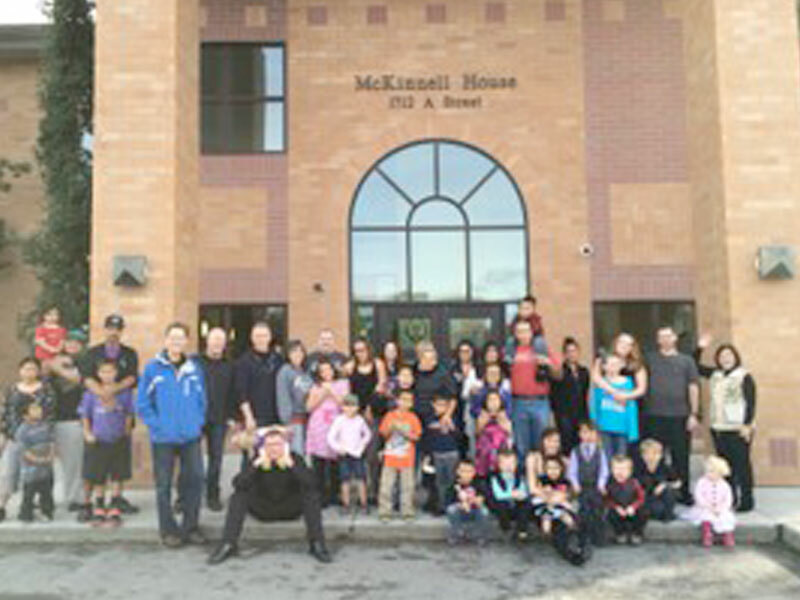 The McKinnell House is a Salvation Army homeless shelter located in Anchorage, Alaska. Its goal is to help homeless families in Anchorage thrive by providing lodging, meals, staff support and more. It is the only shelter facility in Anchorage for families and single parenting fathers experiencing homelessness. While the shelter is able to provide many things, it does not have an adequate play area for the children living here. When President of the ASCE Alaska Branch, Doug Simon, saw a very clear need for the Section engineers to help out. Taking the lead, Simon made a presentation at a Branch meeting and attracted interest from other members, which led to a CECorps project with McKinnell House. The Salvation Army requested the design of an outdoor family space where children could play safely and families at McKinnell House could come together to enjoy fellowship and build a support community. The CECorps project team developed and provided a set of plans, including site grading and drainage plans, playground design, and equipment layout; as well as a cost estimate for the playground, fencing, topsoil and seed, and associated earthwork. The project also included re-establishing an existing swale that will collect stormwater runoff from the new playground area and direct it to the on-site stormwater system. Armed with these deliverables the Salvation Army is actively pursuing funding. On any given night there are 1,700 homeless youth in Tulsa, OK. Cell phones serve as a lifeline for these kids, connecting them to services, friends, and families, and providing a source of safety. The problem is that there are very few public places where homeless people can charge their phones. 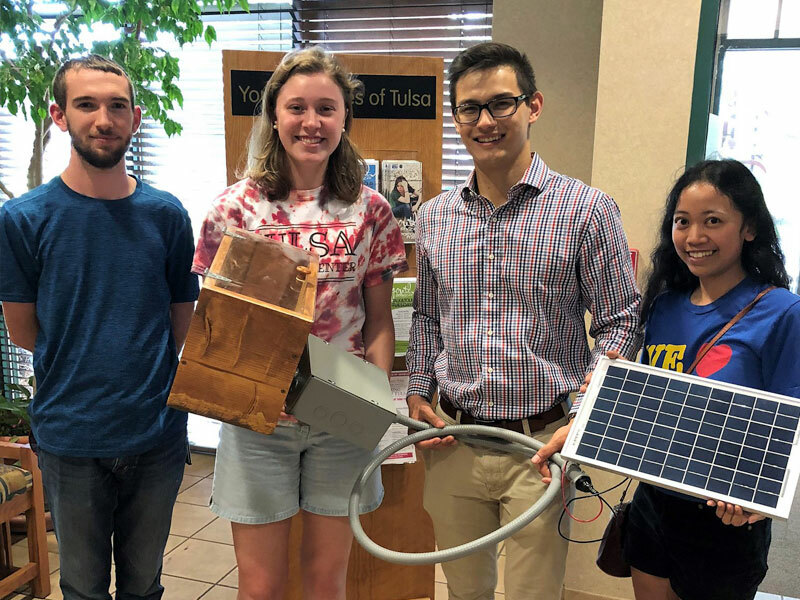 For the EWB-USA University of Tulsa Chapter helping their peers at Youth Services of Tulsa was an easy decision; it was a great fit to develop and design technology to address an identified need of their partner, Youth Services of Tulsa, who found themselves short of charging outlets. The beauty of the team’s solution was opting for solar and placing the charging station outside, making it available to teens beyond normal business hours. The charging station was even designed to take inclement weather into account and includes an acrylic rain-resistant cover. The new solar-powered charging station provides power 24 hours and day, 7 days a week and goes a long way toward helping youth. The team feels the same admiration for Youth Services of Tulsa. When they hit obstacles, such as kinks in the circuit design, it was the humanitarian aspects of the project that motivated them to continue. “Every time I drive down Third Street, I look at the project and point out Youth Services. I’m really proud of the project,” said Elisabeth Loe, CECorps project lead.